Find a great sale price on this 2016 Nissan Frontier 4WD Crew Cab Auto PRO-4X w/Leather at Campbell Nissan of Everett in Washington. This 2016 Nissan Frontier is located at our Nissan dealership in Everett. We also serve the cities of Seattle, Marysville, and Lynnwood. So if you're looking for a great price on this 2016 Nissan Frontier 4WD Crew Cab Auto PRO-4X w/Leather or just looking to get an auto loan for the vehicle you want... you've come to the right place! Campbell Nissan of Everett. 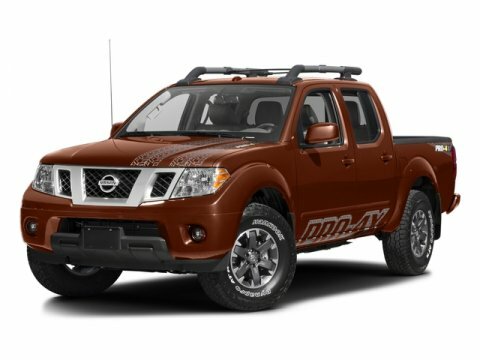 Nissan Frontier PRO4x 4WD 4-Way Heated Power Passenger Seat 8-Way Heated Power Driver Seat Dual Power Heated Outside Mirrors Leather Appointed Seat Trim Rear-Seat Fold-Down Center Armrest Roof Rack w/Cross Bars Tilt & Slide Moonroof 4.0L V6 DOHC Clean CARFAX. Nissan Certified Pre-Owned means you not only get the reassurance of up to a 7yr/100,000 mile Warranty, but also a 167-point comprehensive inspection, 24/7 roadside assistance, trip-interruption services, and a complete CARFAX vehicle history report. Recent Arrival! Our community involvement is centered on taking care of the basic needs of people who would be hard pressed to help themselves or in other words 'helping those without a voice'. We carry out our involvement by partnering with non-profits that we feel are making a difference. Purchase a car from our dealership this month and we will sponsor a Foster Kid from our community to attend summer camp. Please help us put a smile on a child's face and purchase your next vehicle from our local business that has been supporting our community for several generations.